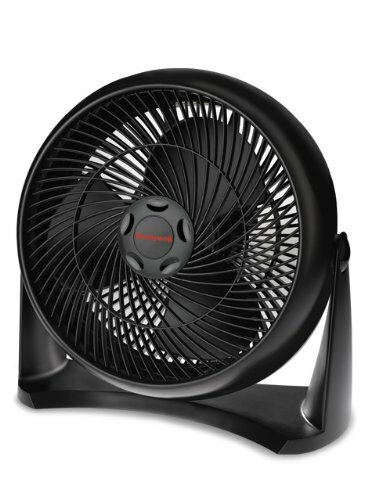 Born of Vornado's Whole Room Air Circulator heritage, the 660 represents the next generation of Vornado circulation. Immediately noticeable is the restyled exterior that features dramatic gloss and matte finishes, sleek lines, and a slightly smaller footprint than Vornado's full-size circulators. The 660 fluidly tilts between horizontal and vertical airflow positions along a chrome glide. Maintaining the 660 is simple with a detachable grill that provides easy access to the blades for cleaning. The 660 features a 5-year warranty and is supported by Vornado's industry-leading consumer service team. 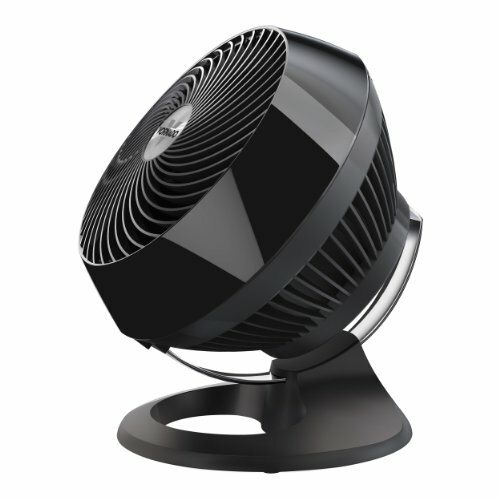 The Vornado 733B is a powerful air circulator in a space saving size. 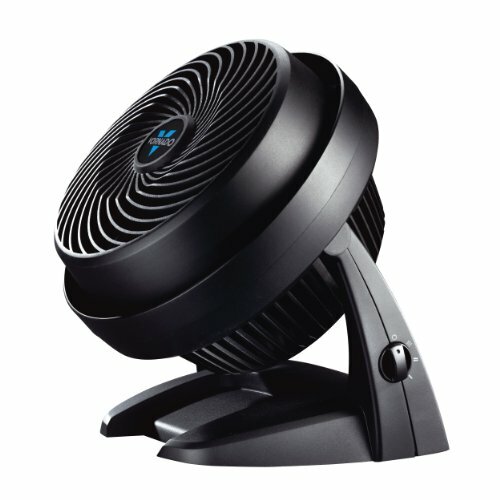 It utilizes Vornado's Signature Vortex Circulation to quietly create swirling, deep-penetrating currents of air that circulate and rejuvenate all the air in the room. The 733B conveniently circulates the air from three different base positions. The 3-speed control, located on the back of the air circulator, is easy to access and allows speed selection to meet any circulation need. Use the 733B all year long for added comfort and energy savings in every season. The classic design and elegant color blends with any decor in the home or office. You will ... feel the difference. 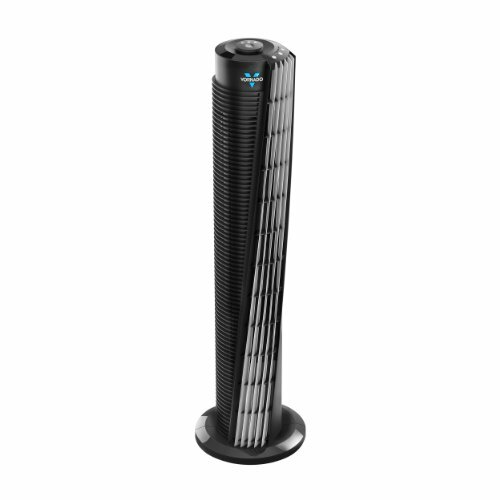 Vornado 143 Whole Room Tower Air Circulator Fan, 29"
The Vornado 143 Whole Room Tower Air Circulator offers a more effective way to circulate air with V-Flow Circulation. Uniquely contoured air outlets create a wide span of constant airflow, without the need for oscillation. 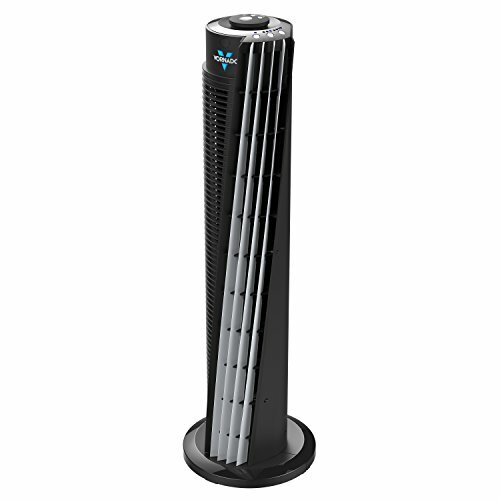 Typical tower fans oscillate due to limited range of air movement. You feel the airflow for only seconds at a time. With V-Flow Circulation, a high volume of air is continuously moving throughout the room, creating quiet, comfortable Whole Room Circulation. The 143 features a remote control that magnetically cradles at the top of the unit, so the remote is always in reach. 3 Speed settings, selected by push-button controls, allow you to tailor the airflow perfectly for your needs. The 143 Tower Circulator includes a 1, 2, 4, or 8 hour timer ensures you run you operate in an energy-saving, efficient way. Vornado has eliminated the wobbly base found on oscillating tower fans in favor of a solid and sturdy system that stands the test of time. Like all Vornado Whole Room Circulators, the 143 is backed by an industry-leading 5 year warranty. Model is made for 120 volts only. Unlike an ordinary fan, the air circulator doesn't just blow air, it Circulates air in the entire room. So rather than sitting in front of a fan to get that breeze, this fan, maintains a cool temperature throughout the room. In addition to being a powerful circulator, it can easily adjust the height and the angle of the head giving airflow where you need it with the fully adjustable head. This air circulator is ideal for use in large rooms. Comes with an easy to use 3-speed control and an easy to remove grill, making cleaning easy! Now you can save on energy bills, by setting your AC to a minimum level and using this air circulator to cool your entire room. Every family has a beginning. Vornado is no different. 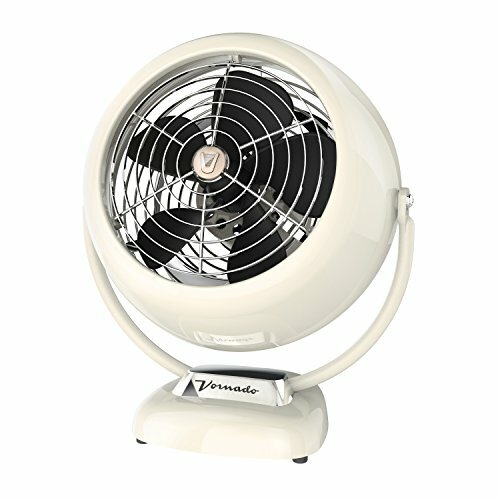 In 1945, we introduced the world to Vornadofan, revolutionizing fan pedigree in terms of quality and personal comfort. Now, a new generation can experience a Vornado descendent. Meet VFAN. Its metal construction and authentic styling recreates our classic design for look and function to blend perfectly with your room. The VFAN continues the Vornado family legacy of delivering unparalleled whole room air circulation with our signature Vortex Action. Features include 3 speed settings, a full action pivot head for multi-directional airflow and a 5-year limited warranty. Style. Class. Performance. 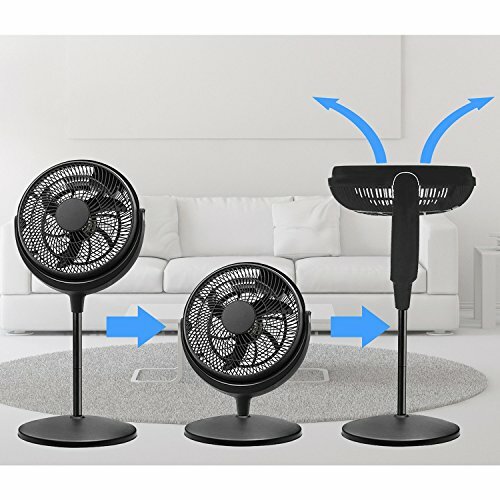 VFAN - Everything you expect from Vornado. 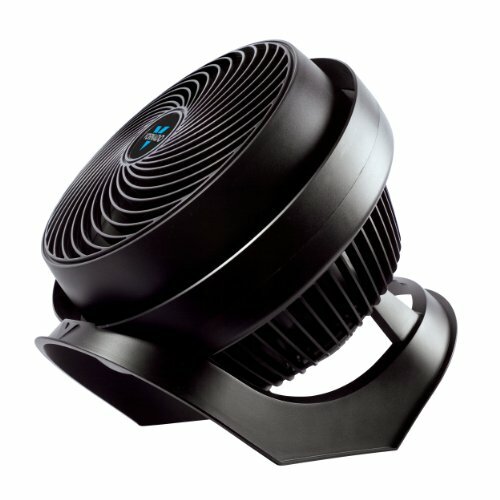 The Vornado 630 Mid-Size Whole Room Air Circulator continues Vornado's superior benchmark performance with a new edge definition design. With its unique signature grill and deep-pitched propeller, the 630 moves air up to 70 feet while aerodynamically circulating all the air in a room. The 3-speed control, located on the side of the air circulator's base, is easy to access and allows for speed selection to meet any circulation need. The base of the 630 provides added stability when operating from the floor or desktop. Use the 630 all year long in the home or office for added comfort and energy savings in every season. Backed by a 5-year limited warranty. Model is made for 120 volts only. Haven't uploaded here in a while, so why not? Just a video about my new fan, a Vornado Model 533 "Whole Room Air Circulator." Damn good fan, moves a shitton of air. Up to 293CFM, and I believe it operates around 2,200RPM on the highest setting. 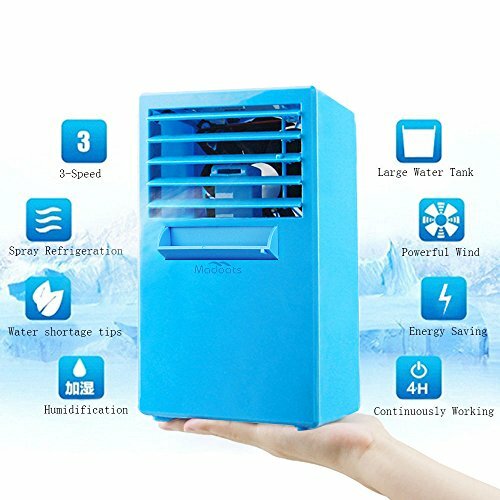 Compare prices on Fan Room Air Circulator at ShoppinGent.com – use promo codes and coupons for best offers and deals. Start smart buying with ShoppinGent.com right now and choose your golden price on every purchase.